During my favorite time of day I was told to write a poem about "Where I'm From" and despite my dislike for these types of poems, I found myself enjoying it in the end and am about to crack it out and finish it. Oh the Joy of a good poem...to have the ability to express through words. What a great opportunity God has given us! 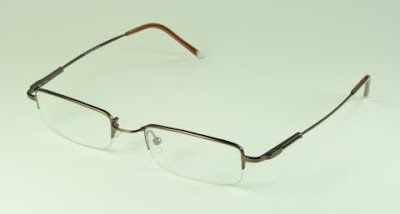 In Fact, now that I think about it, These are the exact same frames all except for the part over the lenses...again, mine are more curvy to accent my eyebrows. I got ooober lucky with this google image!